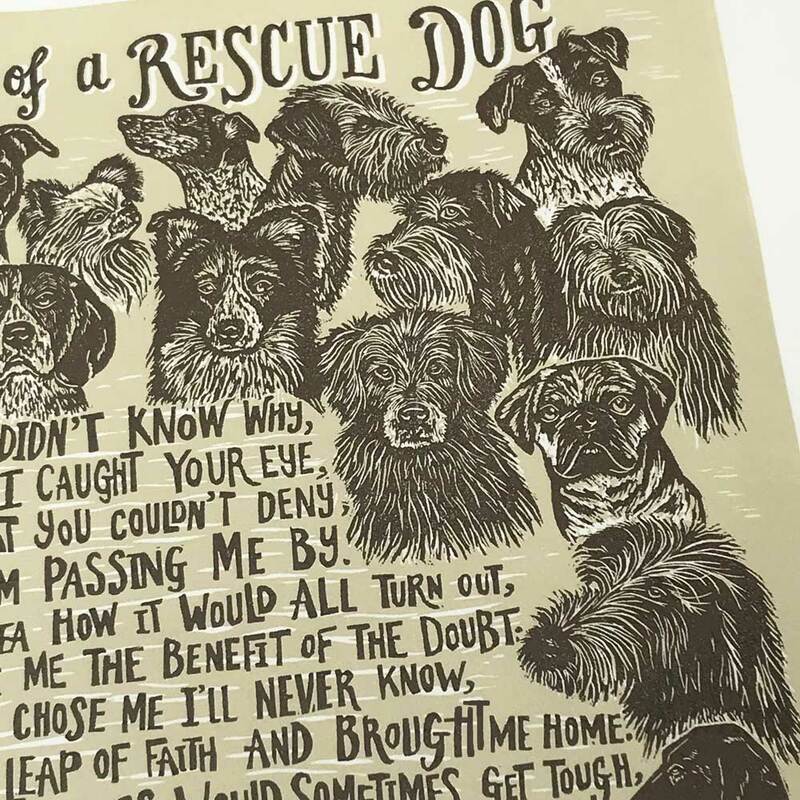 A new limited edition linoprint inspired by the thousands of dogs in rescue homes and shelters around the world, who are waiting for their forever home. 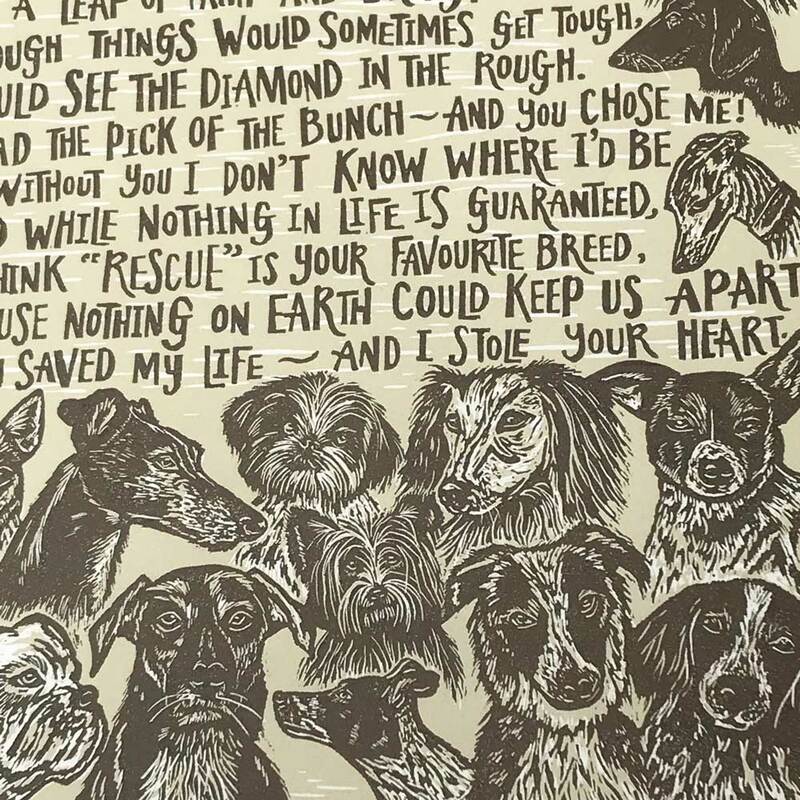 Taking the form of a poem, written by a rescued dog, it is a heartfelt 'ode of gratitude' to all those who have let a rescue dog into their hearts and homes. 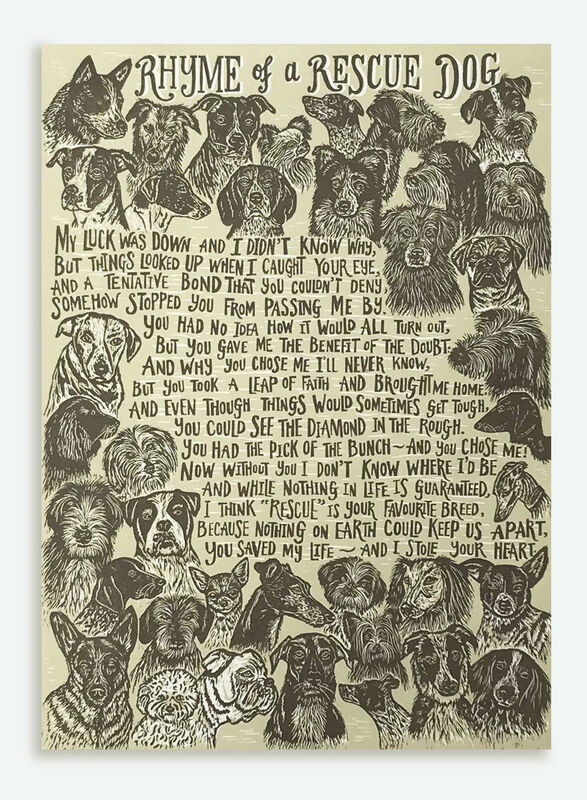 Intrigued by the stories of how people come to choose the dog they will take home, this print is a tribute to the great leap of faith people make when rescuing a dog and, despite the terrible ordeals that many of these dogs have had to endure, people are prepared to take that leap and create their own happy endings. 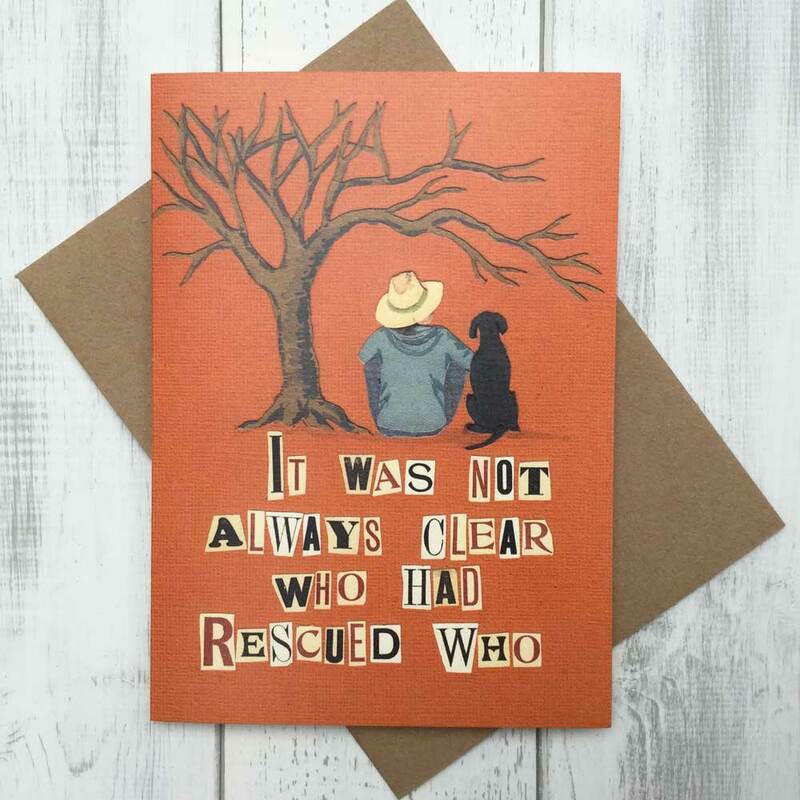 Lots of people tell me that, in retrospect, they are not sure whether it is they who have rescued the dog, or the dog that has rescued them! 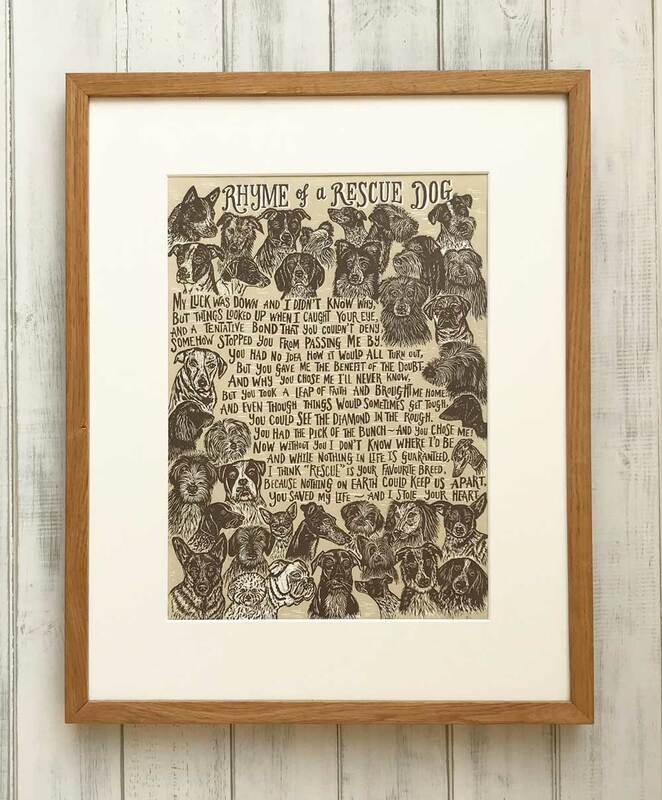 For each one of these prints sold, I will be donating £5 to All Dogs Matter, a UK dog rescue charity who rescues and rehomes dogs across London and the South East. The print is a limited-edition of 144 prints on Japanese Hosho paper and each one is individually signed and numbered. 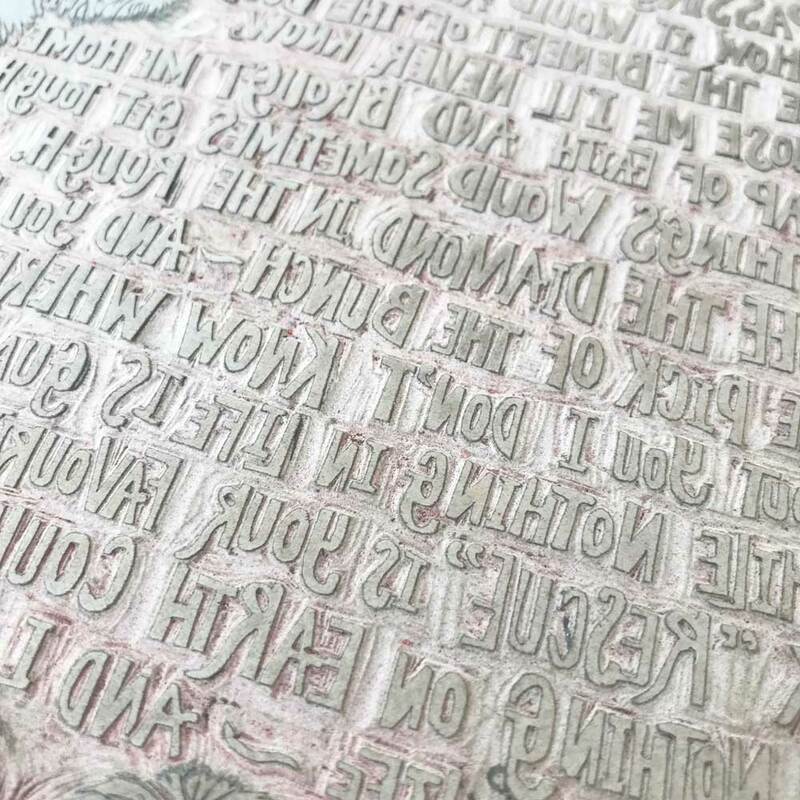 It is an original linoprint created from two linoleum plates. 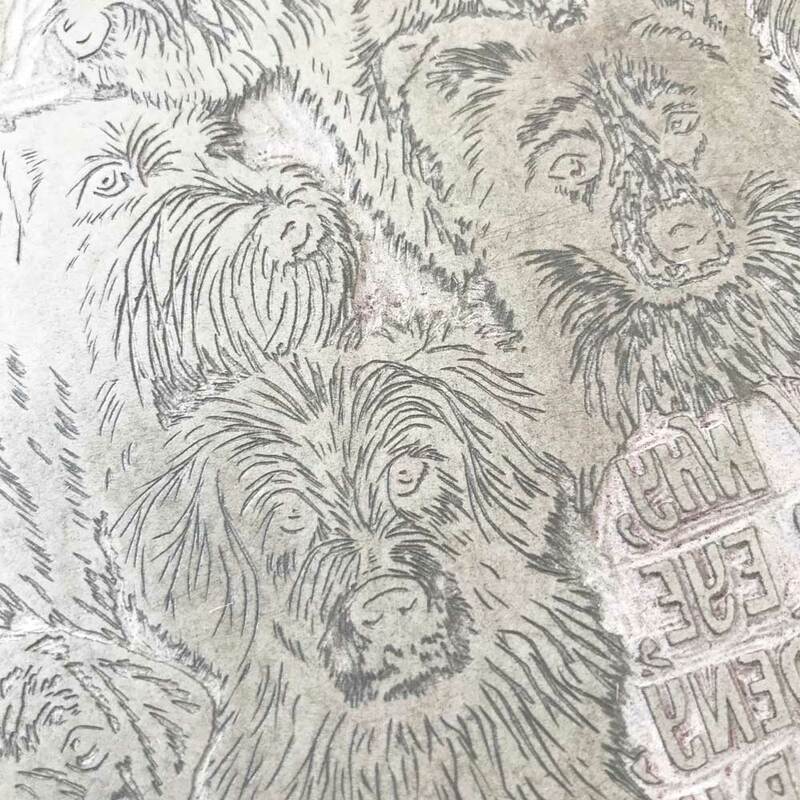 All the dogs and letters of the poem were carved by hand (in reverse) into the two plates - one for each colour - and hand printed using an etching press. This print fits perfectly in a standard 40 x 50 cm frame with the matt/mount supplied (UK addresses only). The mount is 40 x 50 cms in size with an opening (aperture) of 26 x 36 cms. I received my print - absolutely love it. 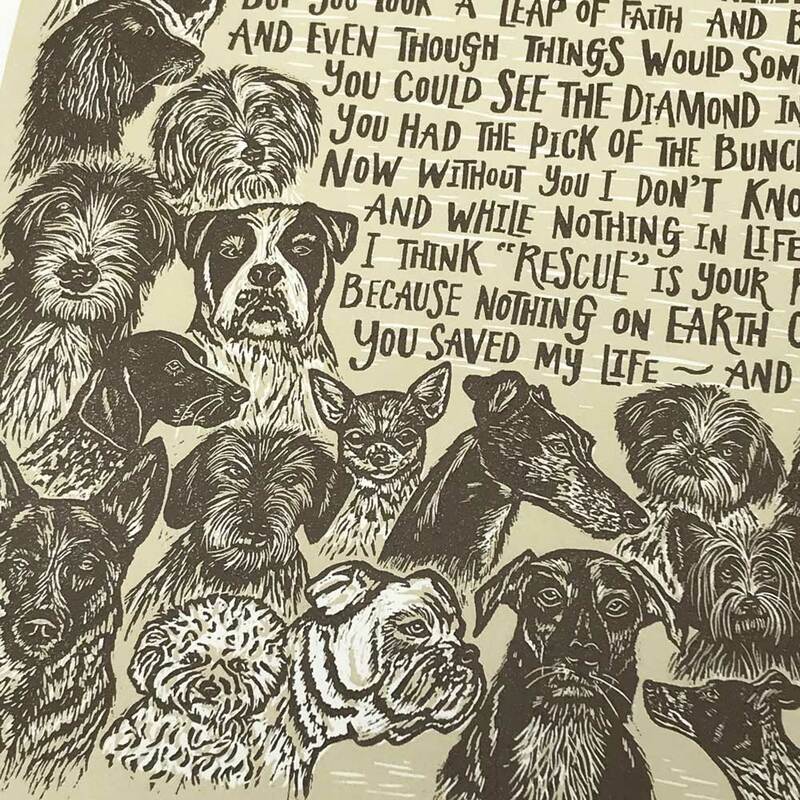 I purchased it in memory of my rescue dog who I got seven years ago and who passed away this June. It broke my heart and left me gutted. 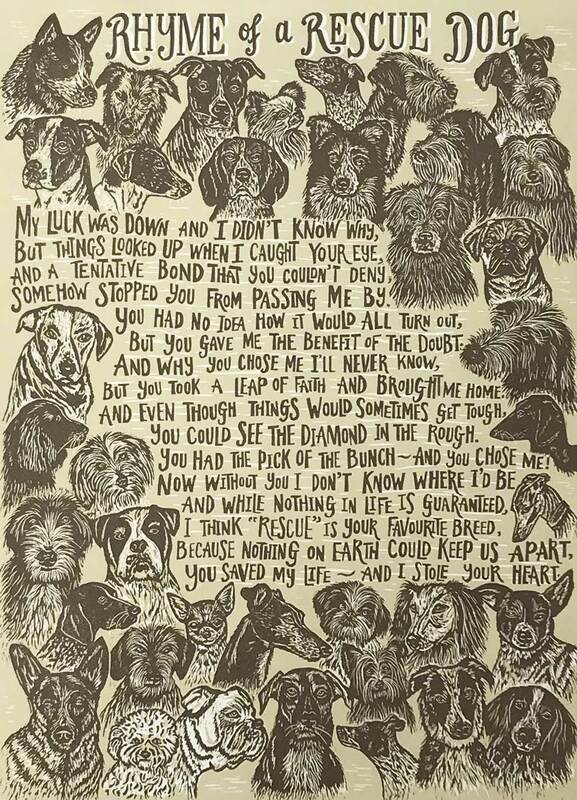 This poem reminds me so much of what he meant to me… thanks so much I love it.